Nothing is more important to you and your staff than the well being of the patients receiving care in your facility. In the healthcare industry, a pest is more than an irritant or an inconvenience—it could spell danger for your patients and your reputation. Yet few buildings offer more challenges than hospitals and other facilities, such as nursing homes. Most are in use 24/7, and a high level of cleanliness is required at all times. The healthcare industry is a competitive business, so reputation is of paramount importance. And pest sightings are likely to attract unwanted attention that could lead damage reputation. In some instances, a pest infestation can even be followed by a lawsuit. Healthcare facilities offer pests ideal conditions because there are a variety of attractive environments under one roof: living quarters, food areas, and even retail space, along with multiple high-traffic communal areas. We understand the difficulties you face because we service thousands of healthcare facilities across the country. Since most hospitals operate around the clock, there are few opportunities to stop operations and fix an issue. In some parts of the building it may not be possible to move certain patients or use airborne pesticides. So it can be easy for problems to go unchecked for some time. Prevention is always the first goal of any successful pest management program. But when a pest is spotted, you need people with the expertise and ability to work effectively without generating concern from patients or visitors. 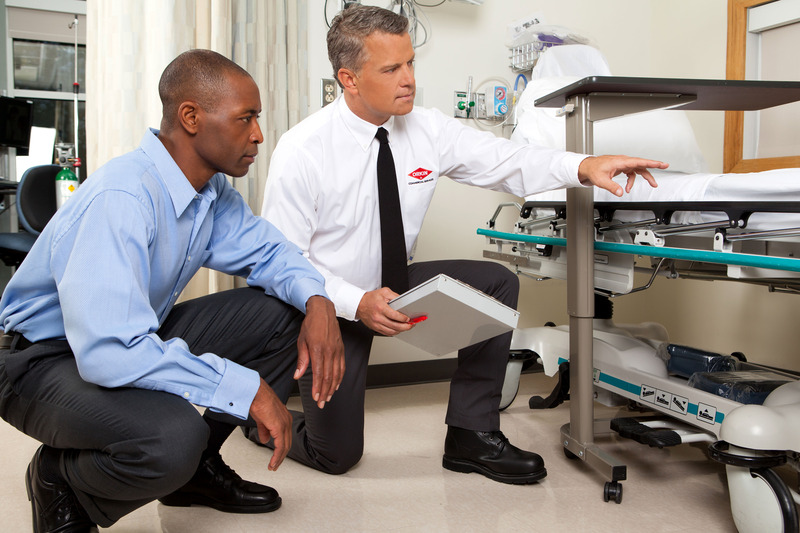 Our pest specialists can help develop a Healthcare Precision Protection™ program that’s tailored to the needs of your facility. We’ll identify the likely attractants and help you reduce pest pressures, so you can focus on taking care of your patients. As an additional benefit for our healthcare customers, we can include our Gold Medal QA® package, which provides comprehensive documentation on what we found, any actions that need to be taken, and any products applied to combat pest issues. These reports will help back up your program when reviewed by public health inspectors and healthcare accreditation boards. Maintaining sterile conditions in high traffic healthcare facilities is never easy. Thankfully, Orkin has years of experience addressing these exact challenges, and we’re backed by the latest techniques and technology in the business. Our team co-authored the official guidelines for hospital pest management issued by the Association for the Healthcare Environment. Each of our pest specialists receives 160 hours of hands-on training in their first year on the job. Additionally, we ensure all our technicians are up-to-date on the latest techniques and standards, and we’ve consistently been ranked by Training Magazine as a Top 125 company for our training programs.